After months of searching, hundreds of houses viewed (we thought the Denver market was crazy then), we bought our home on June 21, 2013. When we moved in there were overgrown rose bushes under the front window, yellowing grass, a dying aspen and TONS of rocks in the flower garden area. And an old, worn down, garage door. We have come to love and cherish our neighbors and the area we live in. This has been our home for four years. We've watched Karoline grow up here. We brought Alexandra home here. We have truly loved our life in our little home. But when God pulls you in a different direction, and the signs are obvious, then it's time to make a change. It is with a heavy (but hopeful) heart that we say goodbye to our first home ...and Denver. We are moving back to Canon City, where Tim and I grew up. There have been many, many factors that have played into our decision to move home. The biggest is, Lord willing, we are going to have more time together as a family. When we finalized our plans to move I decided I wanted to make an "Our First Home" album for the girls. I quickly realized this album has been more for me. Taking the pictures was therapeutic. I enjoyed taking them and I am glad to have them to look at later on. We have always wanted a red door. Nothing like moving to get you to FINALLY do some projects (insert eye roll ... lesson learned, from now on we make our house the way we want it when we first get into it)! I pictured taking first day of school pictures in front of this door for many years. Thank goodness God gave me my husband to teach me how to be flexible. I may not take pictures in front of THIS door, but I can take them in front of whatever door we are calling home. This grass park next to our home allowed us to feel like we were in a small town and secluded. Open space and green grass is something both Tim and I long for wherever our next home may be. This back yard. Boy did my husband put some work into it. The back 12 feet or so was all junk. Rocks, bark, more rocks and bark. He separated it all, sifted out the dirt, leveled it and planted grass. We nourished the trees back to health and have loved watching them double in size in our time here. For Karoline's second birthday we built her the sandbox below the house overhang. Lots of fun memories here. When we bought the house it was painted a dark color. The west wall was huge and overwhelming. The windows on the front were gridded, old and didn't open. Last year Tim cut a huge hole in our house and gave us this amazing view. You can see the mountains year round. When the leaves are gone you can really see the Flatirons and Longs Peak. This shelf! We looked at it unfinished (see picture below) for a year ... again, nothing like moving to force you into getting projects done. Tim made his own shiplap to cover it (my man can create some amazing things with a table saw). I love it, thank you #fixerupper. In the morning this view is quiet and serene. In the evening we sit and watch the sunsets. I will miss this window. A lot. We eat almost every meal together at this table. Family meals are important to me, thankful for such a nice space to have gathered as a family. Little fluffy girl made her way into this one. Little did we know when we bought these bunk beds two months ago that we would be taking them apart so quickly after assembling them. When we first moved in this large closet was Karoline's play room! We spent so many days sitting and playing in this closet. We recently moved our bed in our room to under this window. I've loved it set up like this. The upstairs bathroom was the first room in our house that I redid. It's small but we made it work! Lots of family movie nights in the TV room of the house. Our guest room. I am still contemplating painting this furniture white. That's going to have to wait for a while now. Our house was put on the insane Denver market tonight. I have mixed emotions about this. I know this is the right step for us. But there was something so final and legitimate about seeing it listed on our realtors website. To our friends and family who have made our lives in Denver feel less lonely, "I'm going to miss you," doesn't begin to encompass how I feel about leaving you. 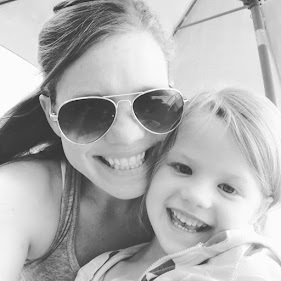 Thanks for being there and sharing in this motherhood journey with me. We frequent Denver often and I hope you come see us so I can show you the majestic (and not crowded) Southern Colorado mountains. To our family and friends we are coming home to, I look forward to getting to be close to you again after all these years away. To my father-in-law, thank you for letting us bombard your home as we search for our first housing project. To my parents, I am so excited that the girls are going to have the opportunity to see you whenever they would like and for you to see them. I am looking forward to seeing what parenting looks like with grandparents around. We are beyond blessed by this opportunity to make a change for our family. However, this is still rather emotional for me. I'm keeping a strong and positive face for the girls. Thank goodness they are young enough that they do not appearing to be effected by this change. A blessing in itself.